This pool started life as a lap pool. Construction- steel reinforced concrete shell, interior finish was a grey rendered with a painted surface. 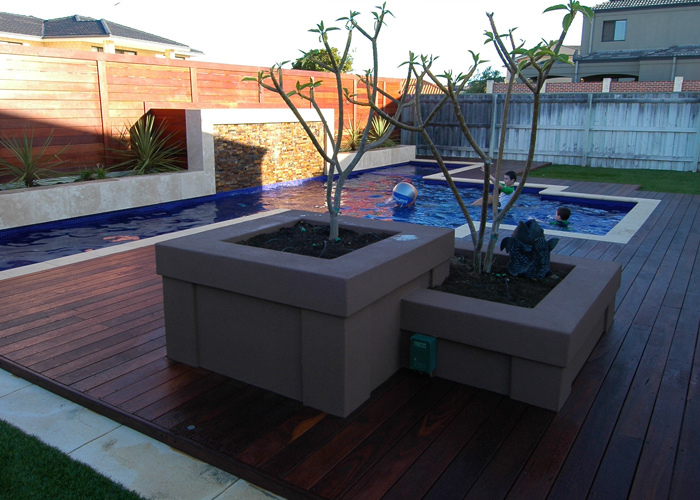 The client required a resurfacing of the interior of the pool as the painted interior surface showed signs of failure. 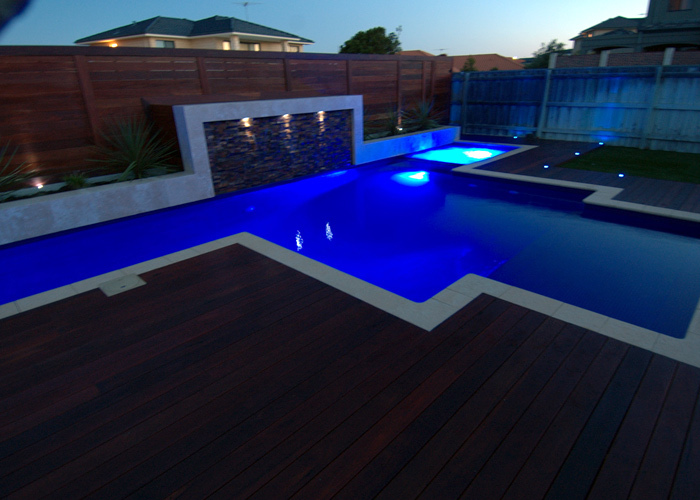 Further, the area required an update as well as features incorporated into the pool. 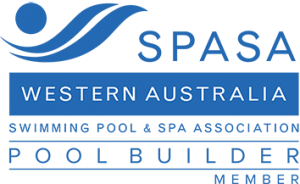 After extensive consultation with the client, we agreed on a design which included a built in spa in the lap section of the pool. New construction included the spa, flower boxes and a water feature. The materials used in the water feature and planter boxes were travertine and stack stone. New construction included the spa, flower boxes and a water feature. The materials used in the water feature and planter boxes was travertine and stack stone. Bull nose coping – Australis pave stone. 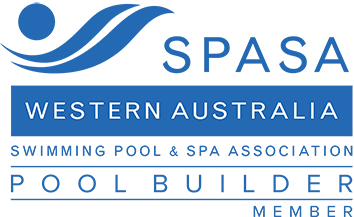 Surround – Jarrah decking, pencil round board walk profile. Water Feature – Remote controlled travertine and stack stone. Lighting- Remote controlled aqua delight interior of the pool. LED lighting for the deck and water feature. Interior finish- Fully tiled ceramic mosaic. Pool heating- Viron gas heater.